Busy busy busy. And water! Well that is just the best thing these little babes have ever experienced! Now your babe is more mobile and looking for fun and stimulation at each turn, it’s time to get out and about. And in the Summer time, there is no better place to be than the beach/creek/pool/river. And who wants to take a nappy bag and this, and that, also that and also this. GoNap Swim Crawlers are with you all the way as you navigate your way through the hotter months, but without having to pack like you’re leaving town! Available in a pack of 6 online only. 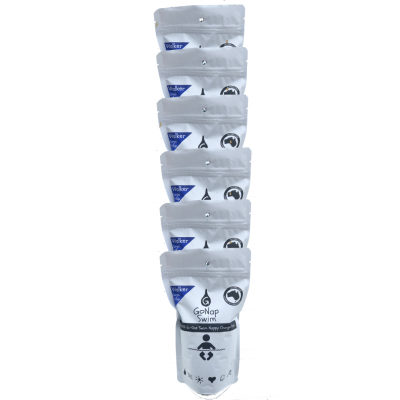 Buy 6 with free shipping today! PLUS a limited edition GoNap teether OR lanyard as our special introductory gift to you! 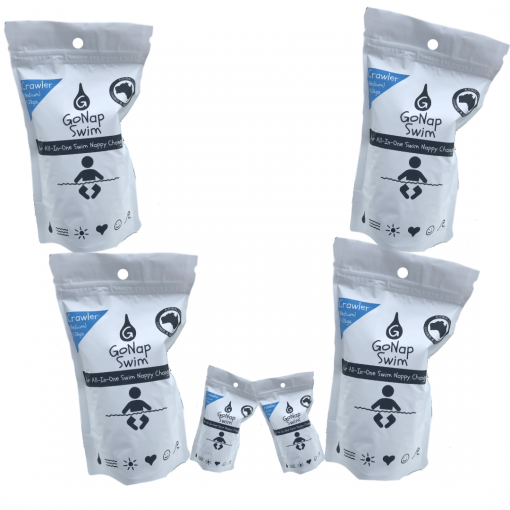 GoNap is the world’s first and only eco conscious all-in-one nappy change pack. 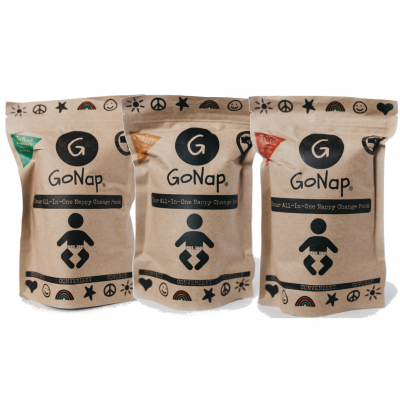 GoNap is the only environmentally conscious all-in-one nappy pack on the market. Everything from the packaging, to the wipes, to the change mat, to the actual nappy is eco-conscious – a big consideration in today’s disposable society. 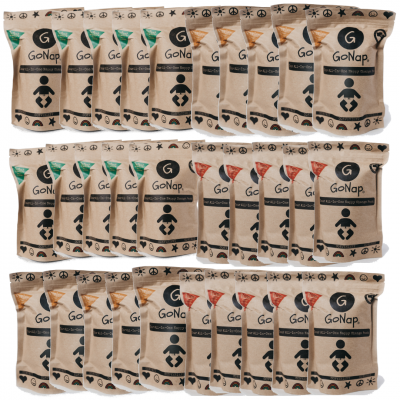 Want to become a GoNap Stockist?